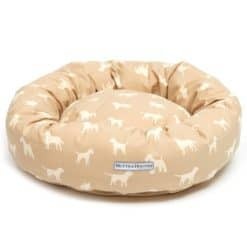 Our new donut beds are super comfy for your dog to cuddle up. 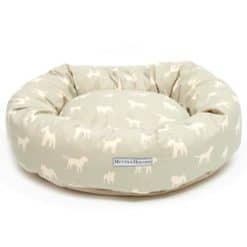 Perfect for stylish all day snoozing, these new Dog Beds will look great in your home. 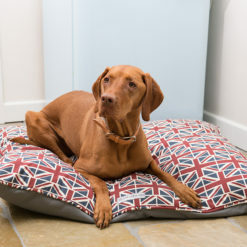 Made in the Mutts & Hounds studio in Wiltshire. 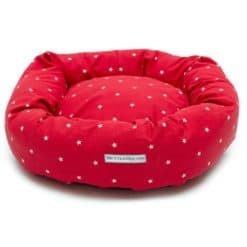 UK Mainland under £100 £5.90, Over £100 Free delivery. Delivery is by courier and a signature will be required. Machine wash at 30 degrees, do not tumble dry, beds should fit in most standard sized domestic machines. Dry thoroughly in an airing cupboard or against a radiator.